I had a lot of questions in my mind as well about ChromeBooks, like how do they work, what even are ChromeBooks. Today I've decided to learn about ChromeBooks. I've decided that I will research and answer any and every question that I personally have about a ChromeBook and then will share that with you here in this post. So, that is exactly what I have done now. I now have collected all the data and knowledge collected from all that research, and have tried to compile it into this one blog post. It's probably is going to be the biggest blog post I've ever written, and you've ever read. But, I also have tried to make it a bite-sized, sweet and easy to read post, so you don't get bored and I don't get a penalty from Google for not publishing a useful blog post. Well, this is a pretty long article so I thought including a clickable table of contents would be a really helpful addition for all the readers. At least for those who like to read only the points from the article that they desire the most, and do not like having to read the whole thing. What even is a ChromeBook? Why and How ChromeBooks cost less money than a Regular Laptop? Is a ChromeBook just a Browser? Can we install Chrome OS on a Regular Laptop? What are the Cons of using a ChromeBook? Can we use ChromeBooks for College? Are ChromeBook Chargers Universal or Not? Do all ChromeBooks have Touchscreen? Are all the ChromeBook Apps FREE? What are the limitations of a ChromeBook? What are the Best Settings for a ChromeBook? Are all ChromeBook Keyboards the Same? What are ChromeBooks used for? How much does a ChromeBook Charger cost? Can a ChromeBook run MS Office? How to Install MS Office on a ChromeBook? Can a ChromeBook run Steam? Can a ChromeBook run Fortnite? Can a ChromeBook get Infected with a Virus? Can we use Adobe Photoshop on a ChromeBook? Can I use iTunes on a ChromeBook? Can we Install Windows 10 on a ChromeBook? Can a ChromeBook play Roblox? Can we use Android Apps on a ChromeBook? Can a ChromeBook be Hacked? Can we play Minecraft on a ChromeBook? How does a ChromeBook work? How can we check specs on a ChromeBook? What ChromeBook should I buy? What ChromeBook is best for playing Games? Where can I get a ChromeBook in India? What is a ChromeBook Pro? When was the first ChromeBook released? Well, it's a fact, that whenever you are using your computer or your laptop, 90% or more percent of the time, you probably are in your browser, or are doing something that is not possible if you did not have a browser installed on your laptop or PC. Chances are that if you did not have an Internet connection today, you probably would not even consider opening up that laptop or computer. Because the Internet is everything in today's age. No matter if you are watching videos, Netflix, YouTube or are writing an email in your Gmail account, or are reading through today's latest happenings on BBC, or whatever. I'm not sure about you, but that is definitely true and a fact when it comes to my usage of my laptop. I for sure almost always am using Chrome Browser and browsing through the Internet, mostly Facebook and YouTube. But, nonetheless, its true in my case, is it also true in yours? ...What if I told you that you could get a laptop that just had a browser in it and no other fancy software that make it more expensive than it really needs to be? What if you could do all these basic tasks and save a huge sum of money at the same time? ChromeBook is a laptop from Google themselves, which features Chrome OS, and not some fancy featured Windows or Linux or Mac OS. It's simple and offers you all the things you do on daily basis, without the extra load of bloatware that your regular laptop would come with. This is the reason a ChromeBook is a very cheap laptop and can be bought usually in under $300 or so. You can watch movies on ChromeBooks, do all kinds of stuff that you'd normally do on a Chrome or any browser you open up every time you login to your laptop. No matter if it is watching YouTube, Netflix, or any kind of Streaming, a ChromeBook has got you covered. You open up your ChromeBook, and it is ready to serve you in your regular web surfing habits within a few seconds. You do your work, whatever you wanna do using the Chrome Browser, and close it up, that's it! ChromeBooks tend to have HUGE battery lives as well. Because it isn't running a full-fledged Operating System like Windows or Mac OS, it offers hours and hours of battery backup. You can even get a full day worth of battery life out of one charge, sometimes. This is something you can't even imagine on a regular laptop, let alone a gaming laptop! ChromeBook is shaping up to be a perfect college laptop and a work laptop for office use, from the moment it has launched. 2. Why and How are ChromeBooks Low Cost? Because a ChromeBook does not run Windows or any other OS, but is just a browser type of OS, it does not need powerful hardware that would cost too much and raise the final price overall. This is why ChromeBooks don't end up hurting your bank balance and are plenty useful. A ChromeBook is almost like an iPhone in Under $300. It works great, is well built and looks great, without lags and satisfies whoever decides to get it. 3. Is it just a Browser then? A ChromeBook isn't just a browser. You've probably seen the Chrome Web Store where you get Google Docs, Google Sheets, etc... All those Apps you can use on a ChromeBook. You can also use Android Apps on Chrome OS, in a ChromeBook. Basically, if you are not a Power User, or a Content Creator or a Gamer, and you don't need to run CPU heavy or GPU heavy software on your laptop, a ChromeBook is a perfect solution for you in that case. It will save you money and will provide you a hassle-free user experience that Google loves to offer to their user base, no matter whatever service they're using that is powered by Google, they want you to be happy with them and keep coming back for more. 4. Is it possible to Install Chrome OS on a regular laptop? In fact, you can even install Chrome OS on old laptops that aren't of any use to you, because they're so old that they can't handle the latest operating systems that are out there these days. Chrome OS is so light, it can run on almost any hardware no matter if it is not powerful enough to handle Windows or Linux operating system. You can even install Windows on a ChromeBook if you want, but that isn't something that I would recommend doing. You can get a regular laptop for that because running Windows wouldn't be a pleasure on a ChromeBook, as it does not have a powerful hardware to support its features. It was designed to run Chrome OS so please keep it that way. 5. Are there any CONS to using ChromeBooks? But fortunately, they aren't the ones that should keep you from buying one. Because those are the things that make a ChromeBook unique and a favorite choice for someone like me who does browsing almost all the time and watches videos, but rarely does he play some games or any tasks that require a powerful hardware combination. 6. Are ChromeBooks Good for College? They are perfect for a college student, or any kind of student for that matter. Unless you are a student enrolled in a design course, in which you have to use software like Adobe Photoshop, Adobe Illustrator or InDesign, or similar software to these, you're perfectly fine to use a ChromeBook for your college studies. Although, you won't be able to play games or anything on your ChromeBook, as you've already read it before, that ChromeBooks aren't much of gaming laptops. You pretty much can't do anything that is related to gaming. But, you can watch YouTube, Netflix or Twitch, if you're looking to pass your recess time. 7. Are ChromeBook Chargers Universal? Just like any regular laptop, ChromeBook chargers aren't universal at all at this point. But, as USB-C catches on, I'm sure all the devices will be able to use the same charger, no matter if it is your Bluetooth EarBuds, or an Android Smartphone you have, or your USB-C laptop, and finally, your ChromeBook. In short, soon all the chargers will be universal and will be able to charge any electronic device when the USB-C is widely used. Perhaps by 2020 or so? Not all of them, but yes, ChromeBooks do have Touchscreens. Here is a list of Best ChromeBooks you can buy that do have Touchscreens from Android Authority. 9. Are All ChromeBooks Apps FREE? As you know ChromeBooks run on Chrome OS and all the Apps that are in the Chrome OS are absolutely FREE, just like Google Chrome Extensions. They're more secure than a Windows laptop, at least. But, there could be malicious code on a website that infects your laptop when you accidentally click on it. But, ChromeBooks are more secure towards that as well. Just to explain it in an easier to understand way, you won't need an Antivirus on a ChromeBook. See how secure ChromeBooks are now? ;) They're more secure than any operating system I know of, even Mac OS. 11. What are the Limitations of a ChromeBook? I've already answered this question in my introduction as well. But, let me again rephrase it for you, in case you did not read that part and just wanna read it here, in simple terms. These are some of the restrictions with a ChromeBook. But, in case you wanna do all this, I'd suggest getting a regular Windows-based gaming laptop that isn't too expensive and can handle all these things with ease. Although, I would strongly suggest you get a ChromeBook as well at the same time, because whenever you are in a lighter mode, and just wanna browse through the internet and don't wanna do anything creative, in those times a ChromeBook would be a better choice. Also, these limitations probably aren't the only ones. Because it depends on how you use like to use your laptop, what type of workflow you have, only then any limitation can matter to you. Like if I edit videos on my laptop, and I can't on a ChromeBook, that has the power to change my decision if I wanna buy a ChromeBook or not. But, if I don't edit videos, it won't matter to me if a ChromeBook can't be used for video editing. So yeah, these are the limitations of a ChromeBook for me, for my type of workflow, for what I use a laptop for. 12. What are ChromeBook Extensions? If you've used Chrome Browser before, you probably have also used a Chrome Extension of some kind in it. Those exact extensions can also be used on a ChromeBook. Furthermore, here is a list of 10 Best Chrome OS Extensions from PCMag. 13. What are the Best ChromeBook Settings? If you've recently purchased a ChromeBook for yourself, here is a YouTube Video that I'd recommend you to watch and follow, in case you have no idea how to set up your ChromeBook. Here is an article, in case you don't like watching videos much. But I'd really suggest you check both of these out, the article as well as the video. 14. Are All ChromeBook Keyboards the Same? More or less yes. There could be a few changes in every model of the ChromeBook, depending on its size and design, but the keyboard layout is almost the same on all the ChromeBooks. 15. 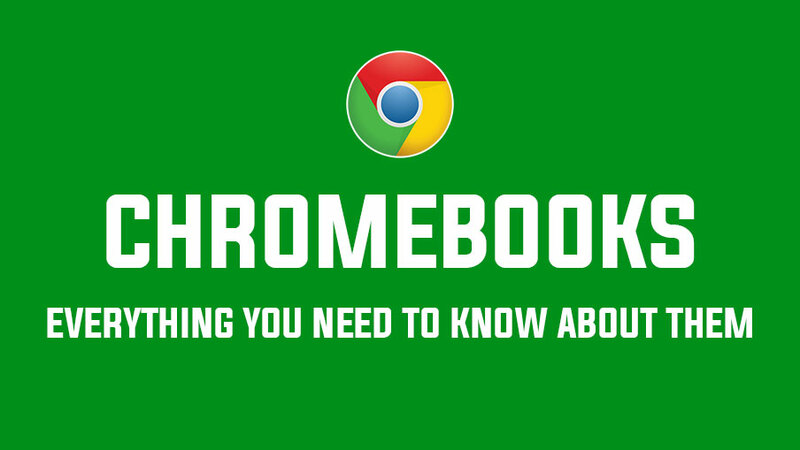 What are ChromeBooks used for? I've already covered this question in my introductions of ChromeBooks. But still, let me again share a few words here. ChromeBooks are simply used for all the tasks you can do in a browser, without having to install a specific software. Because a ChromeBook is just like Chrome Browser, you can install extensions, browse the web, play videos, even play online lightweight games that do not require an installation. They're basically designed for people who want to do basic things and do not want to spend a whole lot of money on a regular laptop, as a regular laptop comes with a lot of shenanigans that a normal human being would never need. Like a Terabyte of Hard Drive, Dedicated GPU, and a powerful processor. A simple college student or a home user would just need something that is basic, like a tablet, and does not hang or anything, and simply just works! A ChromeBook is just that. It is stylish, well-built, has no bugs, runs fast! 16. How much are ChromeBook chargers? Well, just like any other regular laptop charger, a ChromeBook's charger also can cost starting at under 10 dollars, and up to $50 or so. Here is a list of ChromeBook Chargers that you can check out on Amazon to get an idea about their pricing. 17. Can a ChromeBook Run Microsoft Office? Unfortunately, you can not use full-fledged MS Office suite on your ChromeBook. You'll either have to get the Light version of MS Office from Google Play Store, or you can get it from here if your ChromeBook uses Chrome Web Store. To find out which one would you have to go with, visit this document from Google. 18. How to install Office apps on a ChromeBook? Go to Play Store and search for the app you want to install. Once it is installed, click on the Launcher, and click on the app to open it up. Sign in with your MS office account or Microsoft account, and continue. 19. Can a ChromeBook also run Windows? But, the fact that it is a light-weight and low-performance hardware laptop, for a Windows OS, you won't be able to enjoy your experience of using Windows on a ChromeBook. I really would not recommend it. Although, you can, however, install Chrome OS on a laptop that is no longer in your use, because it can't handle the most recent Windows OS because of its less powerful hardware. It'll almost run just like a ChromeBook for you, in case you wanna save some money and also at the same time recycle your old laptop. 20. Can a ChromeBook run Steam? You can visit your steam account online, by visiting their website. But, you, unfortunately, would not be able to use Steam as you are able to on a regular Windows-based laptop. First, the hardware isn't up to par, second, you do not have Windows OS to install a Windows based application, which is the Steam app. Thus, you can only use its online web version. Keep in mind, ChromeBook is a browser, all the activity you can do on a browser is possible on it, but installing software isn't one of those things. 21. Can a ChromeBook Get Virus? Because you can't run and install executable files on a ChromeBook like you can do on a Windows laptop, you're always safe from this vulnerability. Although, you can, however, get hacked! Remember? There are phishing pages out there that are always trying to get people that aren't very knowledgeable about the Internet. If you have been in the Technology and the Internet world for a while, you have nothing to worry about. 22. Can ChromeBook Run Fortnite? If you've read the article to this point, you'll find this question really funny! 😂 Because all we've been talking about here is that a ChromeBook can't run any Windows-based Programs. So, you can't play Fortnite, and ChromeBook can't run Fortnite, unfortunately. On the other hand, you can, if you like, play some online games, like 8 Ball Pool or something that isn't very hard on your processor or graphics. 23. Can a ChromeBook run Adobe Photoshop? 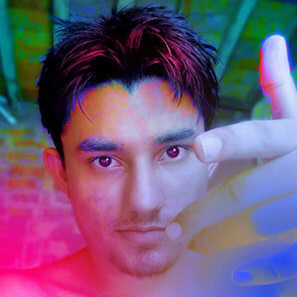 However, you can use the Online Web-based version of Photoshop, which does not have to be installed on your computer. Because if you wanna install it, you will have to install Windows on your ChromeBook, as the Chrome OS does not support any application that runs on Windows or Mac OS or even Linux. 24. Can we use iTunes on a ChromeBook? Nope, we can't use that either. ChromeBook can't run iTunes, but you can, however, add Music from iTunes to your Google Play Music library. Here is a step by step tutorial on doing that. 25. Can we use MS Word on a ChromeBook? Go ahead and install Word Online into your laptop and you're done. Or, if you wanna install all the Office Apps, here is the link of the entire suite. 26. Can we install Windows 10 on a ChromeBook? And I've already mentioned it a few times before, that you shouldn't do it. It probably will cause more issues than the benefits. But still, if you wanna go ahead and install it, here's a step-by-step video tutorial on how to do it. 27. Can a ChromeBook be used Offline? A ChromeBook is a browser-based laptop and operating system. Now if you do not connect it to the Internet, how are you supposed to use it? Everything you'll ever do on a ChromeBook, would be in the Chrome Browser, and it is useless without an active Internet Connection. There you have it, your answer. 28. Can ChromeBook Run Android Apps? Here is a video tutorial from Gary on the subject. 29. Can a ChromeBook play Roblox? But, for that, your ChromeBook's Chrome Operating System has to be the most recent and up-to-date one. Also, you have to enable Google Play Store from the settings, if it isn't already enabled, as it uses the Mobile App version of the Roblox to run on a ChromeBook. Also, keep in mind that the Roblox does not work with any Bluetooth based devices. 30. Can we play Minecraft on a ChromeBook? Yes, you can play Minecraft on a ChromeBook. There are two ways you can install and play Minecraft on your ChromeBook. The first one would be by installing it from Google Play Store, as you know that you can run Android Apps on a ChromeBook, so it is also an Android Game, which means you can run it on a ChromeBook. The second method, is to install the Chrome Web Store application version. 31. Can a ChromeBook be Hacked? But, Online Accounts can still be hacked, though. If you visit unknown websites and put your personal information there, that can lead your information to get hacked or stolen by someone who's not going to be very friendly with you, once he has that information. Simply put, even if you can't get a virus or your ChromeBook can't be hacked, your data still can be hacked, if you wander around the internet posting your personal information, signing up on god knows what kind of un-trusted websites. 32. Can ChromeBook Run Windows Apps? You can only use Google Chrome Extensions and Apps on a ChromeBook. However, you can use Windows Apps too on it, by installing Windows on your ChromeBook. But, as I've mentioned it countless times already, please do not use Windows on your ChromeBook, it isn't designed to run Windows on it, leave it as it is supposed to be. If you install Windows on it, the performance of the hardware that is inside your ChromeBook would never be up to par to run most of the Windows Apps or Software anyways, so keep it on Chrome OS. 33. How does a ChromeBook work? 34. How to Check Specs of a ChromeBook? 35. What ChromeBook Should I Buy? Because all the ChromeBooks are almost the same in the hardware sense, so the choice you really have is the design of the laptop. Just look at a few devices and see which one of them do you like the best. And in the end, go with the one you found to be really attractive, for your taste. Also, keep an eye on the keyboard layout as well when checking out the design, because with some designs, they have to change or even remove some buttons of the keyboard to compensate for the design changes. 36. What ChromeBook is Best for Gaming? No ChromeBook is best for gaming, really. As we've already discussed, a ChromeBook is just for the purpose of having a lightweight, fast and working laptop that does not disappoint and offers as much battery life as possible, does not hang and does not heat up either. These are some of the many reasons why people get a ChromeBook. 37. When was the first ChromeBook released? 38. What is a ChromeBook Pro? 39. Where to Buy a ChromeBook in India? Well, what would be the best place to buy anything in today's age? The Internet! :) So that is what I would suggest you to get your ChromeBook for as well. Check out Amazon, Flipkart or whichever Online Shopping website you use to buy your gadgets, use that one to buy yourself a ChromeBook.